The blockchain is a technology that is supposed to be all about distributing power and information away from central authorities. But many individuals have been crucial in pushing the technology forward. Here is a look at some of the most influential people in the industry today. 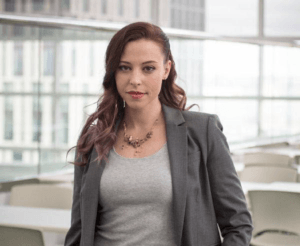 While the JPMorgan Chase chief executive Jamie Dimon was bashing Bitcoin as a fraud, his employee Amber Baldet put the bank at the front of Wall Street’s efforts to harness the blockchain. Ms. Baldet, 35 and until recently the head of the bank’s blockchain lab, led a project to create a bank-friendly version of the Ethereum software, known as Quorum. Quorum has since become one of the most popular places for corporations and governments to start building blockchain projects. But Ms. Baldet, who never stopped being an outspoken advocate for hackers and privacy on Twitter, always seemed too big a personality for an old-fashioned bank. Earlier this year, she broke away and created her own start-up, Clovyr, which she is building with a partner from her days at JPMorgan. She has compared Clovyr to an app store for blockchains, open to the many competing approaches to blockchains today. It illustrates her unusual ability to bring together the corporate and hacker camps working on the technology. Brian Behlendorf was a prominent name in the tech world long before his rather late arrival on the blockchain scene. In the early 1990s, he started one of the first companies that built websites, which led him to create the Apache software that is still used by many web servers. His work on open source software was driven in part by his interest in alternative culture, which also made him an early player at the Burning Man festival. 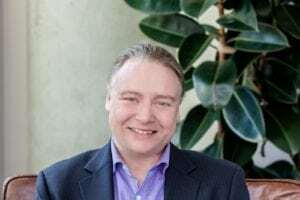 In 2016, he was brought in by the Linux Foundation to lead a nonprofit known as Hyperledger that aims to create standard blockchain software that anyone can use. While the project was initially led by IBM, Mr. Behlendorf, 45, has helped bring in other big names who are helping to make Hyperledger the focus of much of the corporate and governmental interest in blockchains today. Hyperledger now oversees several different blockchain projects, but its biggest product is Fabric, which is being used by everyone from Walmart to the Centers for Disease Control and Prevention. Mr. Behlendorf, meanwhile, has tried to make sure the technology has kept its open-source soul even as it has begun to go mainstream. 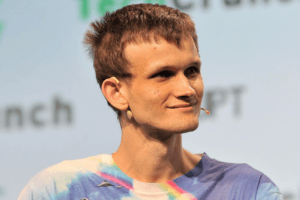 Aside from the blockchain inventor known as Satoshi Nakamoto, no name in the cryptocurrency world is more recognizable than that of Vitalik Buterin, the 24-year-old inventor of Ethereum. Mr. Buterin came up with the idea for Ethereum after dropping out of college, when he was only 19, and few imagined the awkward teenager could make it work. His creation, though, is now home to the second most valuable cryptocurrency after Bitcoin. Beyond that, Ethereum has pioneered a future direction for the blockchain — serving as a new kind of shared global computing network. That has drawn in thousands of developers who are building on top of Ethereum. The system has been buggy, and provided an opening for lots of bad actors. But Mr. Buterin’s ideas have also been popular among many corporations and government agencies, who are now experimenting on their own versions of Ethereum. Many competitors have also raised money to build systems aimed at improving on the basic concepts laid out by Ethereum, but Mr. Buterin’s soft-spoken leadership has so far kept Ethereum ahead. There are few greater marks of prestige in the blockchain world than an investment from the venture capital firm Andreessen Horowitz. While it is the firm’s co-founder Marc Andreessen who has gotten the most attention for his backing of the industry, it is Chris Dixon who is leading the firm’s work in the area. 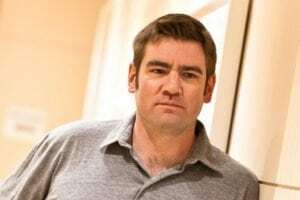 Mr. Dixon, who created start-ups that were acquired by eBay and McAfee before becoming a venture capitalist, was responsible for Andreessen’s first big Bitcoin bet in 2013, when the firm became a lead investor in the Bitcoin brokerage Coinbase. That has ended up looking smart as Coinbase has risen to become the multibillion-dollar giant of the industry, with more customers than Charles Schwab and eTrade. Since then, Mr. Dixon has spread the firm’s money to a wide array of smaller projects in the industry, and recently created a $300 million fund that will focus exclusively on digital tokens. Mr. Dixon has also taken to Medium to pen essays explaining and advocating for the bigger ideas behind blockchain-based technologies — most notably, the ability to create new decentralized computer protocols that can be governed by communities instead of companies. 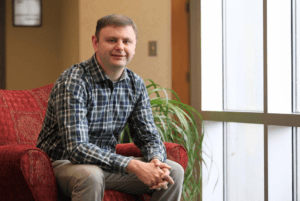 Daniel Larimer’s libertarian politics drew him to Bitcoin in the early years. But the Virginia Tech graduate has made his name, and his fortune, by building new kinds of cryptocurrencies with more wide-ranging functions than Bitcoin. This began with an exchange that was supposed to make it easier totrade Bitcoin, and that relied on its own internal currency, known as BitShares. He left that project before it took off to create Steemit, a new kind of social network, powered by its own, eponymous token. Steemit is still working today, but Mr. Larimer’s biggest success has come with his latest creation, Block.one, and its digital token, EOS, which is set to compete with Ethereum. Block.one, where Mr. Larimer, 35, is the chief technology officer, raised more than $4 billion from investors to build EOS, making it the most successful cryptocurrency fund-raising project by a good margin. The start of the EOS currency was recently plagued by delays and technical snags. That, and Mr. Larimer’s history of leaving projects unfinished, have drawn many skeptics. But if nothing else, Mr. Larimer and Block.one should have enough money to turn EOS into a contender in the crowded world of cryptocurrencies. 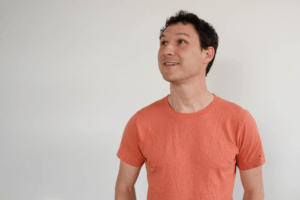 Each one of the three things that Jed McCaleb has created in the last decade would be, on its own, enough to make him one of the most well-known and controversial figures in the cryptocurrency universe. The soft-spoken native of Arkansas began in 2011 by acting on something of a whim and throwing together the website for Mt. Gox, the infamous Bitcoin exchange that became the largest in the world before imploding in 2014. Mr. McCaleb had gotten out of Mt. Gox relatively early and emerged mostly unscathed, allowing him to create Ripple, a cryptocurrency that was aimed at improving on Bitcoin by eliminating the arduous process of mining, among other things. Ripple has become the third most valuable cryptocurrency in the world, and the one with the most links to the traditional financial world. Mr. McCaleb, 43, left Ripple before its most recent successes, after a falling out with his co-founders. But that has allowed him to create yet another new digital token, known as Stellar, that he envisioned as an upgrade of Ripple. It has already won partnerships with IBM and a number of Silicon Valley start-ups. While many on Wall Street have focused on the blockchain technology and dismissed cryptocurrencies, Michael Novogratz has led the camp — and made a fortune — betting that the real innovation is in Bitcoin and the other digital tokens it has spawned. In 2013, when he was at the private equity firm Fortress Capital, Mr. Novogratz — a former military pilot and Goldman Sachs partner — made the firm one of the first in the financial industry to actually purchase Bitcoins. This bet gave Mr. Novogratz, 53, who was a wrestler at Princeton, a good shot at redemption after his big hedge fund at Fortress shut down. 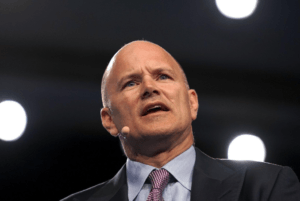 Last year, Mr. Novogratz started what he has described as a sort of full-service investment bank for cryptocurrency projects, called Galaxy Digital. He had to reverse course on plans to open an enormous crypto hedge fund when the markets suddenly turned sour in December. But he is still putting his money where his mouth is, setting up what is likely to be the biggest institution selling Wall Street on the virtues of cryptocurrencies. In the continuing struggle to get Bitcoin into mainstream use while staying true to its ideological roots, nobody is more crucial than Elizabeth Stark. Ms. Stark, a graduate of Harvard Law School, is the chief executive of Lightning Labs, a start-up that is building tools that can layer new capabilities — and new transaction channels — on top of the Bitcoin blockchain. There is currently a hard limit on the number of transactions the Bitcoin blockchain can handle, which has led to significant battles between companies and developers over the best way to expand the network. 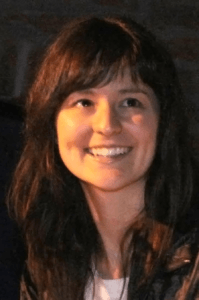 Ms. Stark, who was already an advocate for a more open and egalitarian internet, became a leader of the camp that wanted to keep Bitcoin relatively small, true to its ideological roots as a decentralized network, with no one in control. At the same time, she proposed and began building a method of adding layers on top of Bitcoin that can handle lots of new customers and transaction types. These “layer two solutions,” as she has called them, appear to be Bitcoin’s best chance of expanding to take on the world, and are already being rolled out. The work has turned Ms. Stark into a leading public face of a far-flung Bitcoin community that often defies organization. As the cryptocurrency industry has looked for clarity on what the regulators will allow, no agency has been more important than the Securities and Exchange Commission, and no person at the S.E.C. has been more central than Valerie A. Szczepanik. A former patent lawyer who joined the S.E.C. in 1997, she was recently appointed to be the agency’s senior adviser on digital assets and innovation. But Szczepanik has been involved in the S.E.C.’s work in the area since early on. 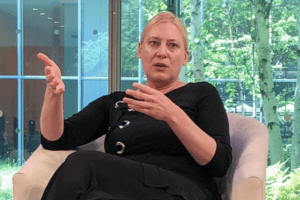 She worked on several enforcement actions against fraudulent cryptocurrency projects and has served as the co-head of the agency’s Dark Web Working group. In addition to punishing bad actors, Ms. Szczepanik has led the agency’s effort to define the boundaries that will determine what form legal cryptocurrency and blockchain projects can take. The speeches she has given have been cheered by some in the industry because they have shown that she understands the technological nuances of the projects out there. When her group decided that the second most valuable digital token, Ether, would not fall under the agency’s purview, it set off a big rally in the markets. But that decision only cleared up a bit of the regulatory uncertainty in the sector. Industry players are still following Ms. Szczepanik’s every word for an indication of where the industry will be allowed to go. Jihan Wu, a 32-year-old graduate of Peking University, has become one of the more unlikely leaders in the cryptocurrency universe. Bitmain, the company that Mr. Wu built with his technical co-founder, Micree Zhan, manufactures the machines that crunch through lots of computations to mine new Bitcoins and other cryptocurrencies. Bitmain used its proximity and connections to the computer manufacturing hubs in China to build machines that were more efficient and profitable than any competitor. Today, most estimates indicate that over 75 percent of the computers mining Bitcoins — and a similarly large number of the machines mining other cryptocurrencies — come from Bitmain. That has turned out to be an important position to occupy because it is the computers mining Bitcoins that get to vote on updates to the Bitcoin software. Mr. Wu has been at the center of the battles over how to expand Bitcoin’s capacity. The fights, and a cryptocurrency crackdown by the Chinese government, have not stopped Mr. Wu from growing Bitmain into one of the most valuable companies in the industry, and a crucial player in any conversation about the shape of the computer networks that stand behind most of the cryptocurrencies in existence.